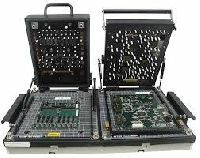 In circuit board testers uses a pre-determined set of test sequences in checking the accuracy of circuit boards. The usual processes involved are discharging the capacitors, contact testing, shorts testing, analog testing, and power up tests. There are special tests involved as well such as Testjet, FrameScane, and ElectroScan. 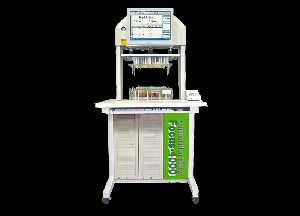 These machines can be calibrated according to your particular quality assurance needs. Prosem Technology India Pvt. Ltd.
Kyoritsu Electric India Pvt. Ltd.